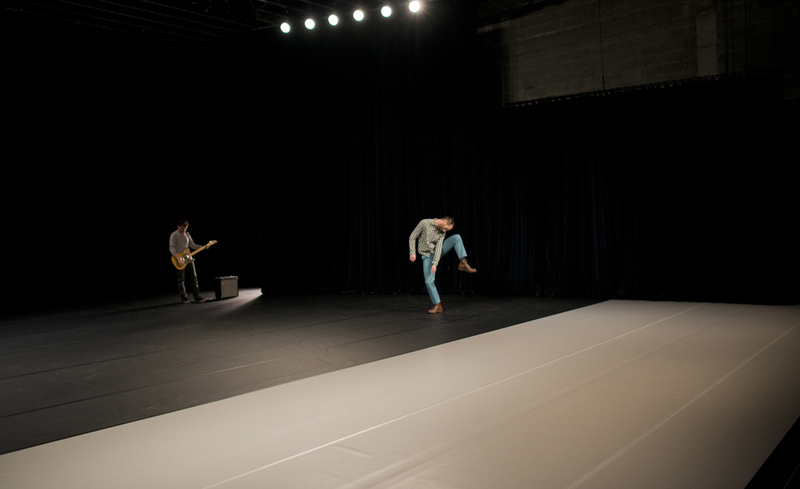 Premiered on 24 January 2014 at Kunstencentrum Buda in Kortrijk (Belgium), for the opening of Festival Vivat la Danse. With support of la Ménagerie de Verre dans le cadre des Studiolabs. While this note outlines the choreographic concerns of Percée Persée, it could equally highlight its musical concerns to the extent that both are inextricably intertwined. Readers may therefore liberally replace the word ‘dance’ with the word ‘music’ and thus gain better understanding of Percée Persée. Percée Persée is the articulation of two solo performances – a choreographic and a musical one – which unfold in the same scenic space, in effect a theatre stage. The main idea underpinning the piece was to create a dance that simultaneously contained in itself a millenary past and a topical present. Our experience and observation of our own dances as well as those of others physically inform us that the history of dance is contained in each of our dance movements. Similarly, a theatre stage contains in itself all other theatre stages as well as its own history. For Roland Barthes, ‘any text is an intertext; other texts are present in it, at varying levels, in more or less recognisable forms: the texts of the previous and surrounding culture. Any text is a new tissue of past citations.’ Following this logic, the aim of Percée Persée is to produce a choreographic form that provokes an encounter and/or confrontation between the intertextuality of a dance piece and the inter- textuality of a place. In other words, the experience Percée Persée offers to spectators is the specific observation of a dancing body versus the specific morphology of the theatre. Both contain at once a visible and an invisible, even more important, part. Percée Persée articulates the invisible stocks of memory contained in each visible production of dance, each acoustic production of music, each geographical production of scenography and lighting. In the early months of the creative process I thought I wanted to create a kind of “choreographic Land Art” piece, albeit presented inside a theatre. But the more I researched on Land Art and site-specific practices, the better I understood that this was not the key of the project and that, paradoxically, these visual arts practices were of no particular help to outline the foundations of the project. I eventually defined the framework of a dance piece that I propose to call a ‘sited dance piece’. This dance both borrows and distances itself from the artistic practices I have just mentioned. A sited dance piece knows where it is. A sited dance piece does not describe the place where it is. 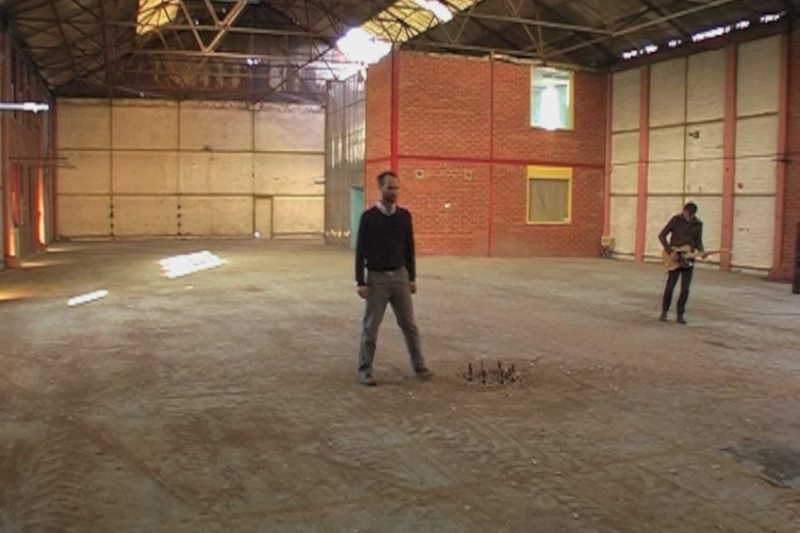 A sited dance piece is an autonomous object. A sited dance piece is a dance piece that unfolds invariably towards the future, even if this means encountering its past. 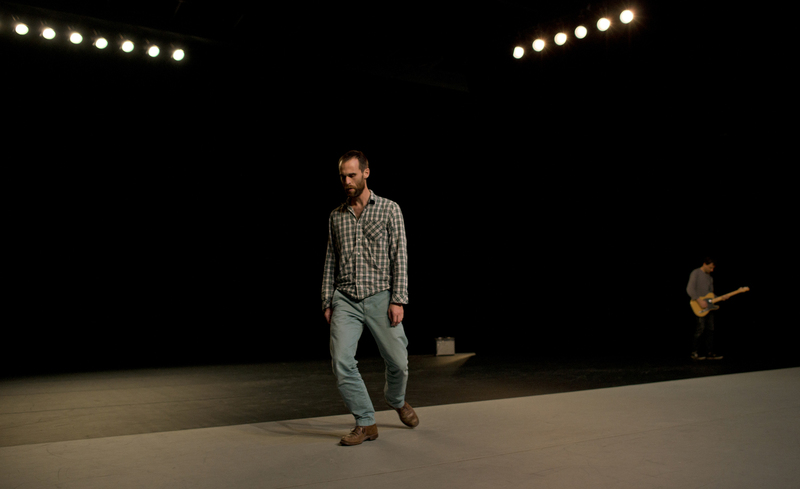 A sited dance piece is a dance piece that reunites content and container. A sited dance piece leaves traces on its passage. A sited dance piece is a dance of reconstitution, a dance piece that investigates (for the performers as much as for spectators). A sited dance piece is a geological sample: a millefeuille of countless strata through which one has to pass. Percée Persée builds on the visual inscription, the invisible imprint that dance leaves on the ground. Percée Persée gives spectators the possibility to make “retrospective prophecies”. 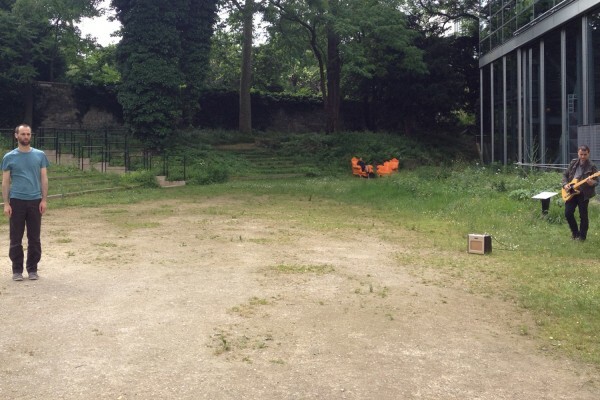 The first version premiered in the garden of the Fondation Cartier in Paris as part of the Soirée Nomade ‘Swans, Amputees’ (June 2012). This version was subsequently translated into a very large but closed space (Mon Inouïe Symphonie, performed in a building in Dunkirk harbour, October 2012). This version was in turn adapted for the theatre stage at Le Vivat in Armentières (March 2013). From these three translations, there remains a 20-minute-long choreographic object as well as the out- lines of a space describing the actual scenic space. Twenty additional minutes were created at Le Vivat. This is the Dunkirk space, which was translated to the stage as broad and simplified outlines (the stage is market out by back drops and pendrillons) and now defines the space the piece will occupy. A specific lighting scheme is designed for Percée Persée, on which the lighting scheme of the previous piece played in the theatre is superimposed. Percée Persée thus changes the use of these existing lights by divesting them of their role as elements illuminating the performance. They transform into an object of memory: an entire performance, converted into the chronological and uninterrupted sequence of its lighting partition, is condensed into 5 minutes. These projectors now manifestly illuminate an unused place and absent performers. A tracking beam may thus reveal the absence of a dramatic moment long gone, while a solitary ray of light hovering between the ground and a back drop allows us to understand that time has passed and the place has changed.